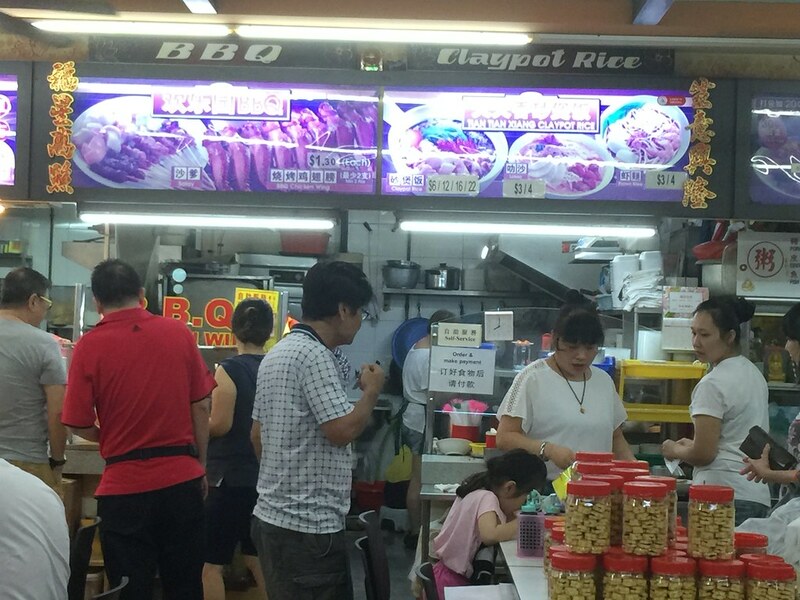 Recently I came across Tian Tian Xiang Claypot Rice (天天香砂煲饭), located inside a coffeeshop at Aljunied Ave 2. I was there during dinner time and basically every table at the coffeeshop is having the claypot rice. It aroused my interests when I see so many people ordering the same thing. The next moment I am at the table waiting for my claypot rice to be served. 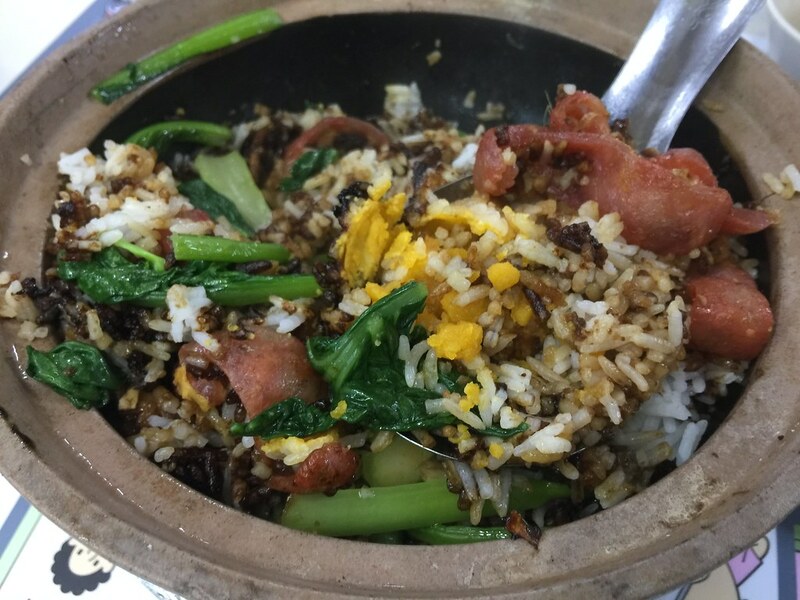 The Claypot Rice comes in 4 pricing - $6 (1 pax), $12 (2 pax), $16 (3 pax) and $22 (4 pax or more). The different pricing caters for different dining group. 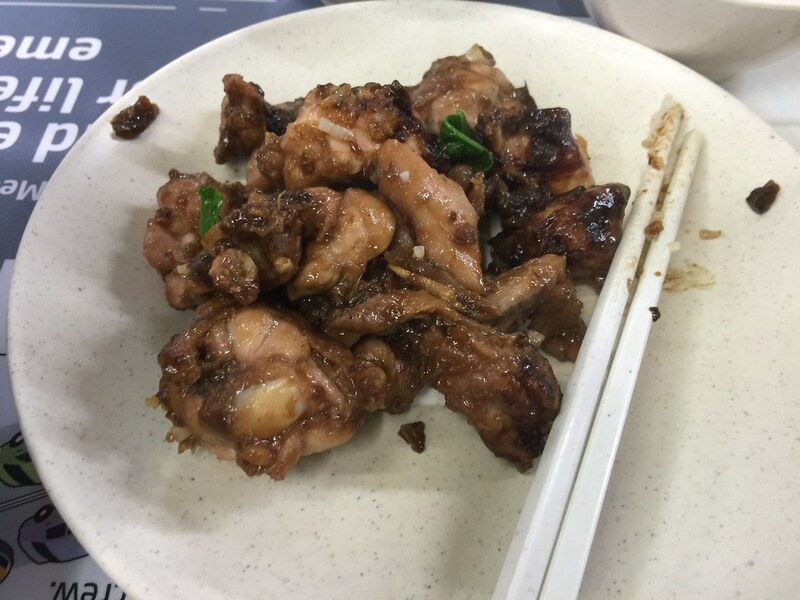 Besides the tender chicken pieces, slices of Chinese sausages and crunchy vegetables, I was surprised to find salted egg yolk among the fluffy rice. I have never seen it elsewhere. Do note, there is no salted egg yolk for individual portion. 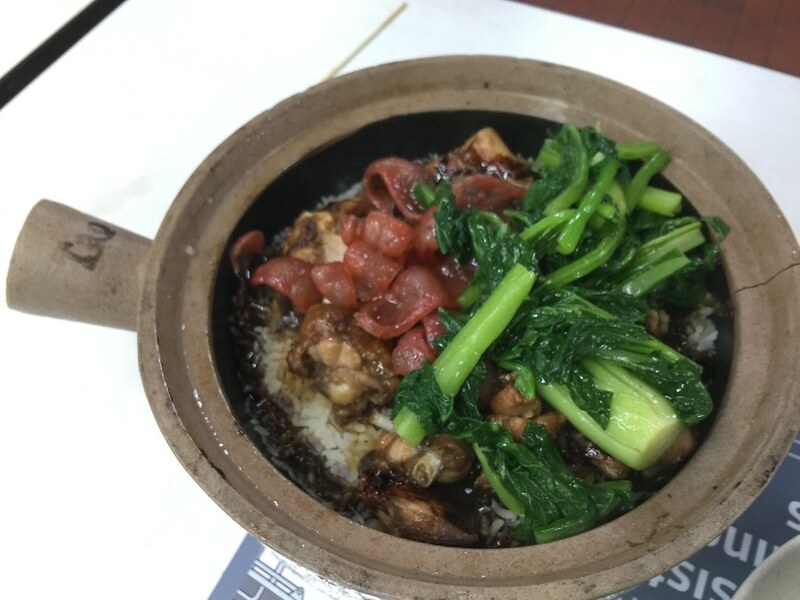 Usually when I have claypot rice, I would like to separate the chicken pieces before pouring the dark sauce into the rice and mixed everything up, so that each grain is coated with the dark sauce. During the mixing process, I also like to scrape the base of the claypot to mix the charred rice with the fluffy rice. This ensures each mouthful comes with the charred crispiness. Another star at Tian Tian Xiang Claypot Rice is their Sambal Chilli. 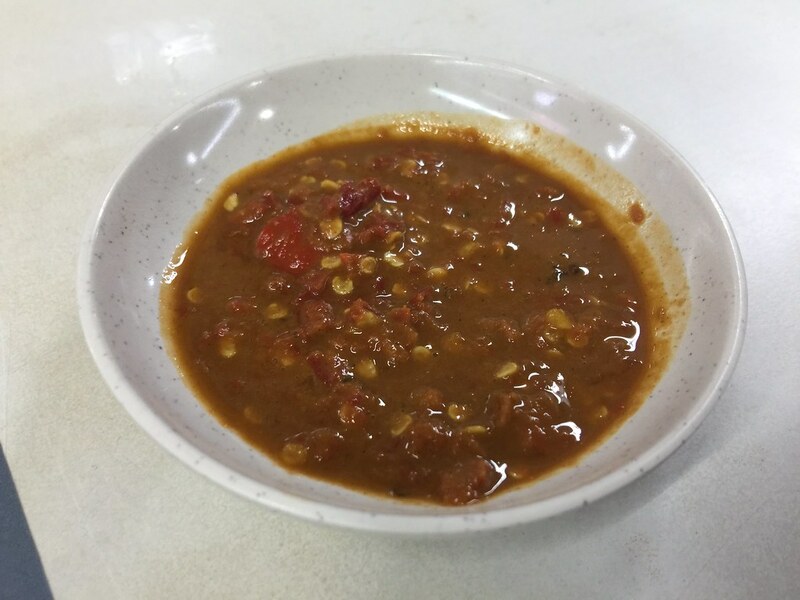 The sambal chilli is really spicy and will send you breathing fire. It really has that fiery kick but its damn shiok. Besides the claypot rice, you can also order a bowl of soup to go with the rice. 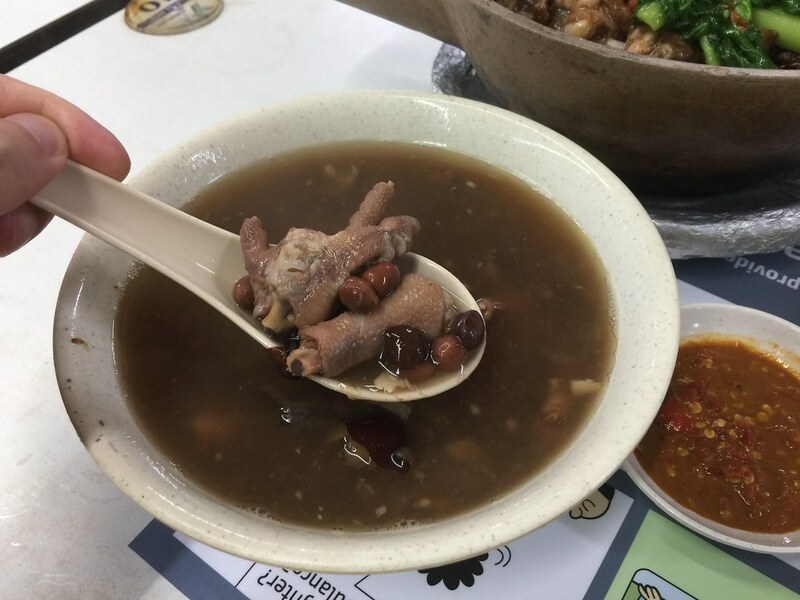 I had the Chicken Feet and Peanut Soup. A sip of the soup and you can taste that it has been boiled of hours, extracting the goodness of the ingredients, flavouring the delicious soup.